2. While pasta is cooking, place garlic and butter in a small pot. 3. Heat butter mixture on medium, stirring continuously, until butter turns brown, making sure it doesn’t foam. 4. 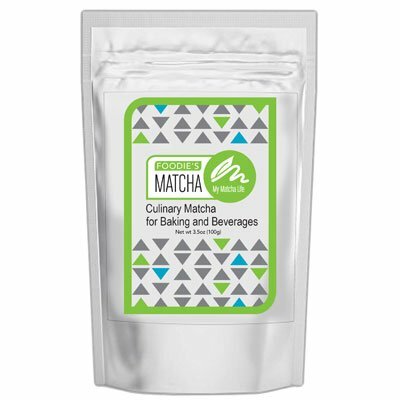 Remove butter mixture from heat and stir in the matcha tea powder. 5. Drain pasta when cooked, and return to pot. 6. Mix pasta with butter sauce and spinach, then mix in cheese and tofu. Add a little water if noodles are sticking. 7. Heat from the noodles will melt the cheese and gently cook the spinach. 8. Season with salt, pepper and herbs.